Looking for a great Christmas gift for your favorite hockey fanatic? 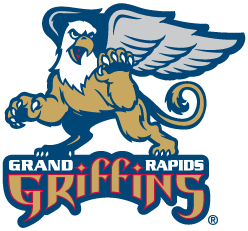 LMCU’s 2015 edition of Night with the Griffins pits the home team against the Rochester Americans on Saturday, February 7. Game time is 7:00 p.m. at the Van Andel Area. Tickets are $13 for upper bowl seats, and $17 for lower bowl. Each game ticket also includes a free $3 food voucher and a free LMCU Griffins t-shirt! Plus, the first 2,000 fans in the arena will get a Griffins bobble head of right winger Mitch Callahan! Tickets go on sale Monday, November 24 at all LMCU branches.